Distributors enter into partnership with the manufacturer who supplies a product. Usually distributors purchase the products at wholesale price and sell at retail price to the end user. A distributor maintains his sole responsibility for moving the products. If you have distributorship business plans running in your mind, have a look on the requirements to turn into a distributor. Storage space is a must-have for distribution. The size and location of the storage area is important. Once the distributor receive products from manufacturer he needs to store it. Some distributors store the inventory they got from manufacturer in a warehouse so they can conduct their business from that location whereas other choose a garage or some rented place. Distributors need a reliable method for transporting goods. Where some distributors purchase their own delivery trucks or vans, some hire a courier service. Buying a truck requires hiring a driver depending upon your business and hiring a courier service provides experienced employees. The distribution business is based on the relationship with clients. 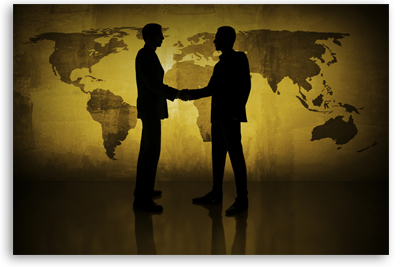 Distributors need strong negotiating and sales skills for maintaining good working relation with clients. Focus of the distributor is to purchase the product at the lowest price and sell it in profit. To build a healthy business relationship with the customers, distributors need to set a price which the client considers reasonable. Distributors need to sign an agreement specifying terms and conditions between distributor and manufacturer. A distributor should discuss with the manufacturer if required to add or edit any clause. Spell out specifics about all pricing and terms. Distributors must obtain the required licenses such as state resale license, federal tax identification number for operating their business legally. Individual distributor can apply for the resale license at their local county clerk’s office and the federal tax number application comes from the IRS. Some manufacturers provide an application form to distributors to fill out in which the distributor has to fill his general information and knowledge of the business and products. As manufacturers do not provide clients, they ask if the distributor has already established customer.